The DMI module was developed for road surveying as well as any mobile application where image capture must be controlled according to the vehicle's motion and speed. 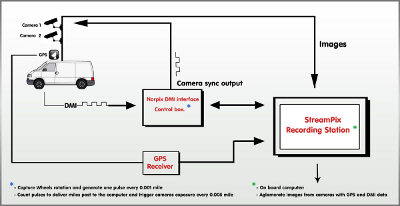 Using this module, you can synchronize image recording with the vehicle's travel distance. Recording speed is a function of the vehicle speed. When the vehicle is stopped, no video is recorded.